Paperback, 6.5 x 9 in. / 80 pgs / 70 color. In this volume Peter Calthorpe, renowned West Coast town planner and author, presents the case for New Urbanism, a movement that has enjoyed meteoric success since he co-founded it in the early 1990s. More utopian and civic than Everyday Urbanism, it promotes mixed-use and transit-oriented development and redevelopment of our cities, as well as walkability and socio-economic diversity. Less avant-garde than Post Urbanism, it embraces traditional urban and architectural scale and typologies. 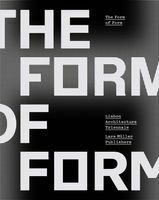 Lars Lerup, Dean of the School of Architecture at Rice University and author, responds with counter-arguments and case studies in a passionate but constructive exchange. Historian Robert Fishman, Professor of Architecture and Urban Planning at Taubman College and the author of several seminal books on urbanism, introduces and moderates the discussion, and offers a postscript. 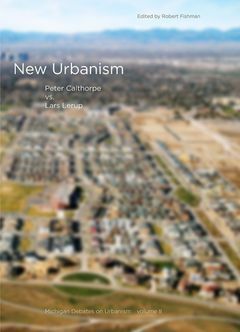 This compelling and insightful publication, with scores of images, features timely topics for architects, urban planners and designers, developers, government officials, landscape architects, students and citizens interested in the fate of their urban environment. FORMAT: Paperback, 6.5 x 9 in. / 80 pgs / 70 color.